Cunningham's classic introduction to Wicca is about how to live life magically, spiritually, and wholly attuned with nature. It is a book of sense and common sense, not only about magick, but about religion and one of the most critical issues of today: how to achieve the much needed and wholesome relationship with our Earth. Cunningham presents Wicca as it is today: a gentle, Earth-oriented religion dedicated to the Goddess and God. 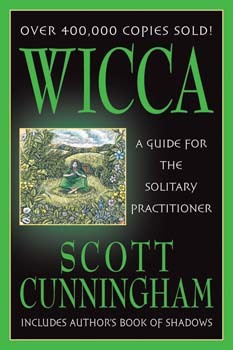 Wicca also includes Scott Cunningham's own Book of Shadows and updated appendices of periodicals and occult suppliers.